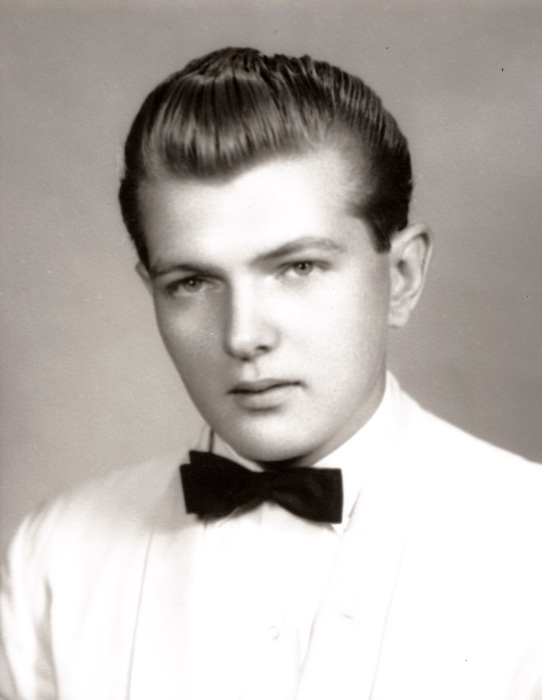 On December 5, 2018, Theodore Albert Fisher Jr., beloved husband of Mary Ellen Fisher (nee Wittich); devoted father of Deborah Kahler and her husband Michael, James Fisher and his wife MaryJane Millington, and Maureen Greco and her husband Christopher; loving brother of Richard Fisher and the late Kenneth L. Fisher; cherished grandfather of James "Witt" Wittich Fisher, and Caleb and Logan Greco. Also survived by many other loving family members and friends. Family and friends may call at the Candle Light Funeral Home by Craig Witzke, 1835 Frederick Road, Catonsville, MD. 21228 on Sunday 2pm to 4pm and 6pm to 8pm. A Mass of Christian Burial will be celebrated at St. Lawrence Catholic Church, 7850 Parkside Blvd., Hanover, MD. 21076, on Monday at 11am. Interment Poplar Springs Cemetery, Mt. Airy, MD. We are located in the Parkside Community in Hanover Maryland near the intersection Route 175 and the BW Parkway. From Columbia- Take Route 32 East to 295 the BW Parkway north to Route 175 East. Stay on route 175 for 6 tenths of a mile. Turn right onto Parkside Blvd. (follow the model home signs for Ryan Homes- this is Parkside Blvd) Follow Parkside to the top of the hill (approx. 2/3’s for a mile) and around the circle. Parkside road ends – our driveway is on the right. Follow the driveway for ½ mile to the church campus. From Baltimore: Take Route 95 South to Route 100 East towards Jessup. Stay on 100 East for appox.3 miles. Then take the BW parkway South to 175 East. Take 175 East 6 tenths of a mile. Turn right onto Parkside Blvd. (follow the orange model home signs for Ryan Homes- this is Parkside Blvd). Follow Parkside to the top of the hill and around the traffic circle. Parkside road ends – our driveway is on the right. Follow the driveway for ½ mile to the church campus. From Washington and Points South: Take the BW Parkway North – route 295 to Route 175 East. Take 175 East 6 tenths of a mile. Turn right onto Parkside Blvd. (follow the orange model home signs for Ryan Homes- this is Parkside Blvd). Follow Parkside to the top of the hill and around the traffic circle. Parkside road ends – our driveway is on the right. Follow the driveway for ½ mile to the church campus. The majority of the parking spaces are on the side and back of the building. If you park in the side lot, head toward the front of the building and enter under the bell tower. If you park in the back, there is a handicapped entrance, or you can choose to enter under the Mosaic. While exiting the church: If you need to take a left from Parkside onto Rt. 175, please know that there is currently no traffic light on Rt. 175 (there are plans to install one in the future). It might be easier to turn right, drive through the Ridgeview Plaza parking lot to Rockenbach Road, then use the traffic light at the intersection to turn left.